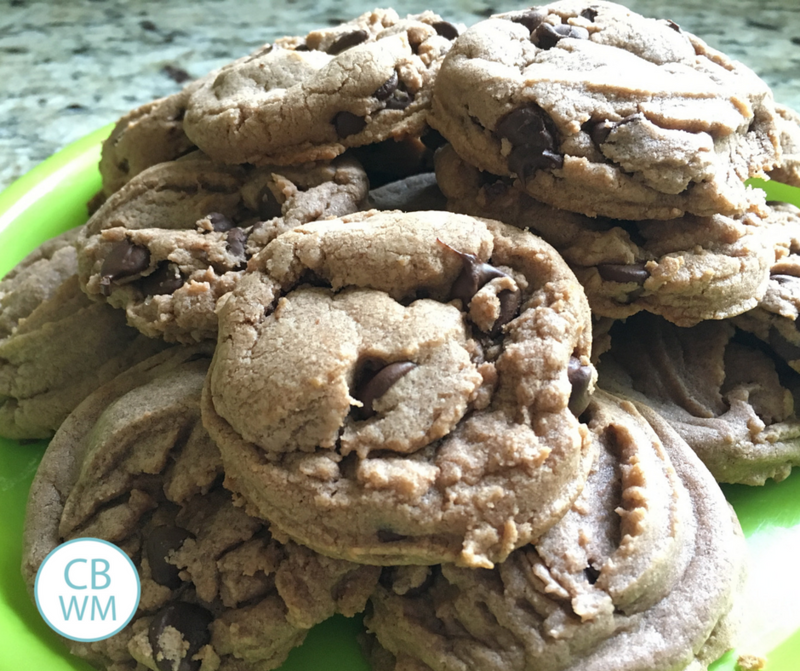 The Most Delicious Chocolate Chip Cookie Recipe. Chocolate chocolate chip cookies. Soft cookies kids love. You are welcome. You are just welcome. 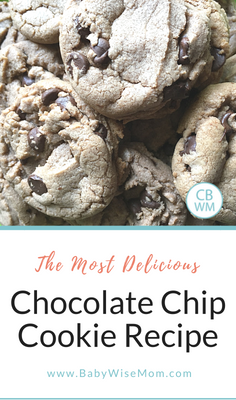 This is the most delicious chocolate chip cookie recipe. 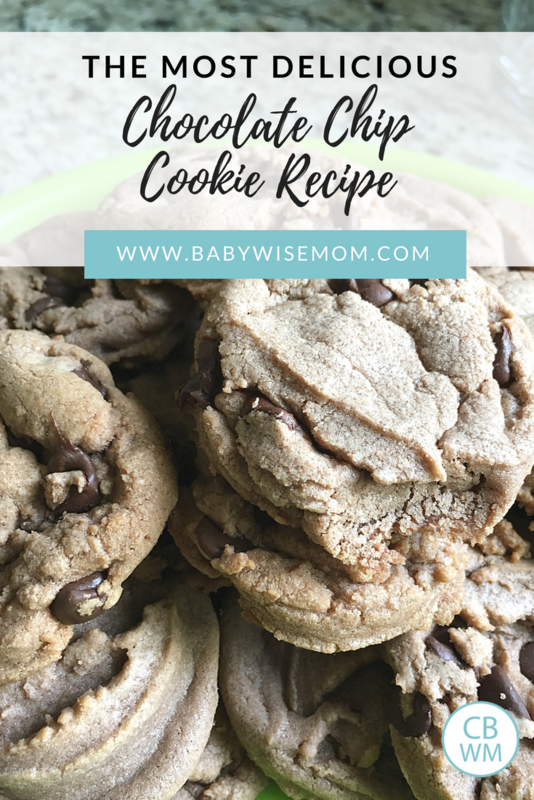 It is the ultimate chocolate chip recipe. It is perfect. The cookies are soft. It is one of those foods that I can’t stop eating when I have it in the house. One of the best things about this recipe is that you can give it any flavor you want to. You can make it chocolate. You can make it banana. You can make it pistachio if you want to! When Kaitlyn was a baby and had reflux, I couldn’t eat chocolate because I was breastfeeding her and when I ate chocolate, it made the reflux worse. During that year, I made the flavor cheesecake with craisins instead of chocolate chips. You can do so much with it! You can really tweak it and make it your own. This recipe makes about 4-5 dozen cookies, so you can half it if you don’t want that many. They are great friend-makers if you want to deliver them to some neighbors though! Cream sugar, butter, shortening, and brown sugar. Add in eggs and mix. Add in salt, baking soda, vanilla, and pudding and mix. Scoop onto ungreased cookie sheet. Bake for 12 minutes. These are really good as Skookies (affiliate). You can buy these pans to use to make the Skookie. Skookies are cookies baked (I just put 2-3 scoops of dough per pan). When they are done baking, you put ice cream on top and add in chocolate and/or caramel topping. I usually bake cookies and save enough dough in the fridge for Skookies another night. These also make great sandwiches for homemade ice cream sandwiches. Try different puddings and different flavors of chips to suit your tastes. I use a cookie scooper (affiliate) to make each cookie the same size. It also makes the cookie making process faster. Room temperature butter is supposed to be ideal for cookies. If you forget to get it out of the fridge early enough, as I do, just microwave it for 15ish seconds. It isn’t ideal, but if you are making cookies for your family and not for Pinterest, no one cares. A Silpat is an incredible kitchen tool for baking. You put it on your cookie sheet under the food you bake. It is non-stick and my food seems to bake more evenly.